What’s the problem with pushing for a cure to autism? It is true that a lot of autistic people suffer. But what they suffer from is not so much being autistic as living in a society that is not friendly to autistic people. A society that frowns upon people wearing sunglasses and earplugs indoors despite their sensory differences. A society where someone flapping their hands will be stared at and pitied, or told “quiet hands!” rather than be seen for the joy they’re exhibiting… The people who enforce these beliefs are not only telling autistic people that their very existence is wrong, but they are participating in oppression. So, instead of “lighting it up blue”, let’s instead talk about this as Autism Acceptance Month. Here’s how the Autism Self-Advocacy Network describes that. “During Autism Acceptance Month, we focus on sharing positive, respectful, and accurate information about autism and autistic people. Autism acceptance shouldn’t imply that being autistic is easy, or that we celebrate the very real challenges. However, it does imply we should see the strengths of autism as well, and see how simple accommodations could make a huge difference. “I do not celebrate my inability to consistently feed myself. But I do celebrate my unusual capacity for focusing on small details – a trait which makes me a good musician, a good student, and a good gift-giver. I do not celebrate my self-injurious stims. But I do celebrate my innocuous ones – I like making the pterodactyl screech, even though people stare. I do not celebrate the fact that I can’t make eye contact well enough to succeed in a job interview. But I do celebrate the fact that I can make conversation without needing to stare at someone’s eyeballs. I do not celebrate the fact that I was viciously bullied throughout elementary, middle, and high school. But I do celebrate the fact that I’m infinitely more gentle, compassionate, and interesting than any of my bullies will ever be. I do not celebrate my deficits in auditory processing that make taking notes in class nearly impossible. But I do celebrate that my experiences as a special needs student motivate me to teach special needs kids today the self-advocacy skills that I so sorely lacked when I was their age. “Person first language is often used to describe something negative — a deficit or disease (for example, person with cancer). I speak of neurodiversity when speaking of the benefits that autistic perspectives can bring to a conversation. Neurodiverse can also be used to incorporate people with other differences in learning styles, such as ADHD. Allism is the condition of not being autistic. They are alternative brain structures, both valid, with a continuum of intermediate possibilities, just like heterosexuality and homosexuality… [there are] no connotations of normality or abnormality; they should be treated as descriptive terms on a par with “male” and “female”. The advantage to allistic is that it’s completely value neutral. Neurotypical could be seen as meaning “normal” which would mean that neurodiverse people are “abnormal.” It is “othering” language. But I know autistics who take pride in being neurodiverse vs. “those [boring] neurotypicals”, so for now, I’ll continue using that term as well as allistic. But Burgess describes how this doesn’t really describe the actual experience of autism. And it can also lead to misunderstandings of a person’s skills and accommodation needs. If someone is verbal and able to conform to most of the demands of a school or work setting, they get labeled as “not that autistic”, but then if they have too many demands thrown at them and have a meltdown, then suddenly they decide you’re on the high end of the spectrum and must not be capable of anything at all. She thinks this would be a better way to illustrate a spectrum for a particular individual. This spectrum illustration better shows where that person’s strengths lie and what things might be more challenging for them. Someone who is skilled in most of these areas, but has some challenges may be able to “pass” as neurotypical – able to blend successfully into a school or academic setting – though they may be perceived as “odd ducks.” In the past, they may have been called high-functioning, or diagnosed with Asperger’s Syndrome. Some people have limited skills in most of these areas, and have very high support needs, such as needing help with toileting or engaging in self-harming behaviors. They were once described as low-functioning. And some people have very low skills in some areas and VERY high skills in others. They were called savants or “rain man”. They are all autistic people. With different spectrum plots, and different support needs. When we talk about autism acceptance, we can’t just focus on one “end” of the spectrum and ignore the challenges faced by people on the other “end” of the spectrum and by their caregivers. It is essential that all people with autism and their caregivers get the supports they need based on their own individual situations. But all autistic people, regardless of their “level of functioning” will benefit from respectful treatment which sees their strengths rather than pathologizing them as inherently flawed due to an autism diagnosis. I have a real beef with the notion of celebrating autism when 22% of children with autism develop epilepsy and 70% experience gastrointestinal problems. In a recent study in the Lancet, two-thirds of adults with Asperger Syndrome, now part of the autism spectrum, reported considering suicide. 35% had made specific plans or an attempt. Another study showed children with autism were three times more likely than their typically developing siblings to be bullied. Children with developmental disabilities have a substantially increased risk of becoming victims of sexual abuse. The issues she is describing here are co-morbidities and social issues, not autism itself. Co-morbidities are physical and mental illnesses that are much more common in autistic people than they are in the general population. Yes, these include epilepsy, gastrointestinal problems, ADHD, anxiety, bipolar disorder, schizophrenia. These are all illnesses that need medical attention, and having both autism and one of these conditions can make it more challenging to treat these, but these illnesses are not autism. The fact that people with autism are more likely to be abused, more likely to be bullied, less likely to be successful in school, less likely and (perhaps as a direct result of these challenges) more likely to be suicidal are social issues. They are not due to autism, but to societal attitudes about autism. “While it’s certainly not fun to be hated, discriminated against, and abused, as too many autistic kids and adults are, I hardly think it’s fair to blame autistics’ neurology for the ableism, ignorance, and lack of compassion showed by the neurotypicals who surround them. Someone who refuses to vaccinate their children because they’re afraid of autism has made the decision that people like me are the worst possible thing that can happen to their family, and they’re putting everyone at risk because of it. It’s time to accept that autism is a common variation on the human experience. By current definitions, 1 in 63 people are autistic. It’s time to start thinking about how we accept this and how we help create accommodations that support autistic people with meeting their own goals. Some autistic people may choose therapies that help them learn to look and act more like an allistic person. But not all will choose that. Now, I’m not saying it’s not helpful for autistic kids to learn how to use neurotypical social skills. This will make their lives easier as it will help them to fit in better to school and work environments that are primarily geared for neurotypical people. But we describe it that way… we don’t describe it as teaching them how to be normal so they’re not such a problem at school and work. And all the work shouldn’t be on autistic people. Allistic people should also think about meeting them halfway. What are things we can do to make those school and work environments more flexible and more accommodating for all people, both allistic and autistic? A puzzle piece is often used as a symbol for autism. Back in 1963, the National Autistic Society chose a puzzle piece as a logo because autism was “puzzling.” Many people (often allistic people) still think this symbol makes sense, because autism is often puzzling to them. Some autistic people think it’s fine because neurotypical people puzzle them. Some (often allistic parents of autistic children) feel the puzzle piece is a good symbol because finding all the right supports and accommodations to help an autistic thrive is like putting together a puzzle. But the full logo in 1963 was a puzzle piece with a crying child on it. That implied that only children have autism, and that it is a condition that they will suffer from. A lone puzzle piece can also seem isolated. In 1999, the Autism Society adopted the puzzle piece ribbon for autism awareness. It’s definitely an improvement – it includes many colors of puzzle pieces, interconnected with others. The Autism Self-Advocacy Network has chosen a spiraling rainbow heptagon as their symbol. Their symbol for autism acceptance month seen at the top of this post is a seven pointed star woven from all the colors of the rainbow. Many autism rights advocates recommend the rainbow infinity symbol, which can also be used to represent neurodiversity, to include all the colors on the spectrum. This has been called the “autistic pride” symbol. Autism Speaks’ logo is a blue puzzle piece, and they encourage people to “light it up blue”. Many autistics advocate for #redinstead in April. ASAN has a website for Autism Acceptance Month with great resources for autistic people, parents, educators, employers, and allies. Thinking Person’s Guide to Autism has a great page which includes: criteria for evaluating whether autism articles and efforts benefit, rather than harm, autistic people, where to look for good information, where to donate money if you want to support autistic people, recommended books to buy or give, and how to help boost autism acceptance materials. This Wikihow article on How to Observe Autism Acceptance in April includes ideas like: research an organization before participating in their events, notice the way that organization talks about autistic people, share articles written by autistic people, share information about respecting autistic people, donate to autistic run organizations (here’s how to evaluate campaigns), and support autistic run businesses. Disability in Kid Lit publishes articles / reviews on the portrayal of disability in middle grade and young adult books. They have recommendations for books featuring autism. This entry was posted in Child Development and tagged allism, autism, autism acceptance month, autism awareness month, neurodiversity on April 22, 2019 by Janelle Durham. Why do a developmental screening? Developmental screenings are a helpful tool for making sure your child is on track with their development. They are a “snapshot” of how your child is doing at this moment. They’re helpful even if you’re pretty sure your child is on track, because they help you get ideas of where to focus your attention in the short-term to make sure they’re well rounded. They’re especially helpful if you have any concerns about your child’s development – a screening tool can either reassure you that they actually are on track, or can verify that they have some challenges that you should seek support for early on. It looks at how your child is doing in five areas: communication, large motor, fine motor, social-emotional, and problem-solving. Learn more about these developmental milestones. Doing the questionnaire likely takes 15 – 20 minutes. It’s easier to do on a laptop or desktop than on a mobile device. It’s best to do it when your child is around so you can check their skills if there is any answer you’re not sure about. And it’s best if they’re rested, fed, and relaxed so they can show you their best skills. That said, it can also be helpful if another adult is around to help you with distracting the child while you’re filling out questions and can help you figure out answers to questions you’re not sure about. Note: Some parents choose to download the questionnaire and print it to fill in off and on over the next week, then return to the website to enter their results online so that it will do the scoring for them. On next page click continue – on next page click to agree to terms and continue, then enter date of birth. Then you’ll get a screen saying something like “For ages 25 months through 28 months – 27 month ASQ” – this is making sure you’re using the right checklist for your child’s current age. There will be a page where they ask about demographics – ethnicity, education and so on – they ask this because the people who are offering this survey are doing research on who uses the tool, and this is helpful to their research process. They do not do anything with this data which would violate your privacy, and you won’t get any emails from them except the results of this screening. The next screen will be instructions – they’ll tell you that you need to try every activity with your child before marking an answer – that would be ideal, but you don’t have to… if you know your child can do something easily, it’s OK to just mark it yes. On things you’re not sure about, do have your child try it. On the questionnaire, you’ll be asked 30 questions – 6 questions per category in 5 areas of child development. You’ll mark “yes” if this is something your child is definitely capable of and has done successfully multiple times. If they have done it a few times or they can sometimes do it but not always, mark “sometimes”. If they’ve never done it, mark “not yet”. The way the survey is designed, we might expect a not yet or a couple sometimes in any given category, so don’t worry if you’re seeing some. Mark answers as accurately as you can – this screening is not about “making your child look good” – it’s about getting an accurate assessment of where they’re at. Then there will be a few general questions, like does your child hear well, do they have vision problems. It’s OK to fill those out or to skip them. This second questionnaire, the ASQ-SE ,is optional. I would say: if you feel like your child has more behavioral challenges than the average child, or more big meltdowns / tantrums, or doesn’t connect to you and others like you see other children do, or there are other things that make you worry that your child may not respond like other kids do, then do this questionnaire. If not, you can choose to skip it. This questionnaire takes 5 – 10 minutes. Your child’s development appears to be on schedule at this time. Results for your child BXD born on November 23, 2016. ASQSE Social-emotional development is in a monitor area at this time. Overall Section You noted a concern in this section. See below for follow-up ideas. If your child has some things marked as “monitor” – I think of those as “grey areas”. This test can have “false negatives” where the test shows a possible problem, and it turns out that all is well. Can they do similar things? The first thing I do is look back at the questions in that section and how you answered them. (The questionnaire with your answers marked will be attached to your email, or you can find it by clicking on “download your completed ASQ”.) Sometimes there were just super specific questions, for example, there’s a fine motor question of “does your child flip switches on and off” or “can your child string beads on a string” and you said no just because they happen to have not ever done this… but think, are you confident that they have enough fine motor skills that they could do something like that? If so, then there’s no reason to worry about it. Is there a reason they might be behind in this particular area of development at this particular time? For example, if you are a bilingual or trilingual household, your child might test as “behind” in language in ONE of those languages. But if you think they have solid language skills in BOTH languages, I wouldn’t worry. If you tend to solve problems for your child whenever they get frustrated, they might be “behind” in a problem solving skill, like getting themselves dressed. Or sometimes kids are behind in large motor skills in the winter time just because we haven’t been playing outside where there’s room to run. Is there a reason why they might be behind overall right now? If you’ve had any big stressors in your family recently like a move, a new baby, a death in the family, a divorce – these are all things that might have distracted your child’s learning temporarily. If you find answers to these questions that satisfy you, it’s likely that all is well and there’s no reason to worry. It wouldn’t hurt to put some extra effort into building your child’s skills over the next two months, and then do another screening just to be sure. If you’ve taken all of these questions into consideration, and your child still seems to be missing some skills, then definitely work on building those skills (see below) and do another screening in a few months, or seek more information now. If your child is marked as “not on schedule” in one or more areas, you definitely want to explore it more. Ask yourself the questions above to get a clear understanding of the results, then consult with your child’s doctor, teacher, or another professional to learn more. It is possible that when you investigate more, it will turn out all is well, or there is only a very temporary delay. But it’s important to check to be sure, because if a child does have any developmental challenges, the sooner they get extra support, the better. The CDC website: explains more about developmental screenings, offers tip sheets on how to talk to your child’s doctor about your concerns, and tells you how to contact your state’s early intervention system and many other helpful resources. The Center for Parent Information and resources offers an Overview of Early Intervention: What is a developmental delay? Who’s eligible for intervention? Who pays? And links to services in your state for infants and toddlers. Better Brains for Babies has lots of great suggestions, and so does PBS kids for kids up to age 8. Note: Easter Seals also offers the ASQ online for free: www.easterseals.com/mtffc/asq/. Theirs works just fine as an alternate, I just prefer the uoregon site listed above because Easter Seals asks for more of your private information (name, address, phone number) and will add you to their mailings. 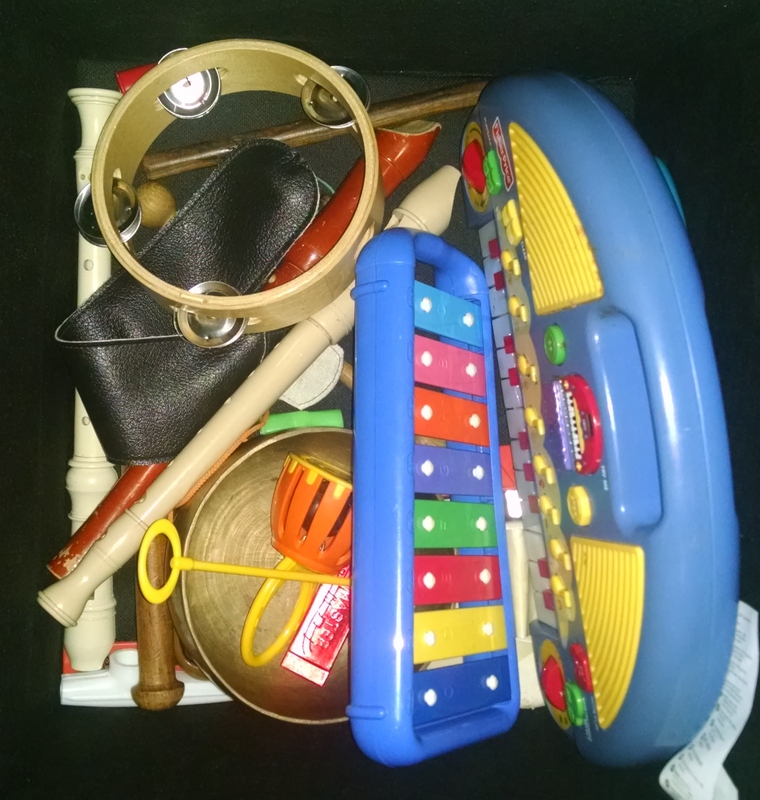 This entry was posted in Child Development and tagged ASQ, developmental milestones, developmental screening, early intervention on February 13, 2019 by Janelle Durham. The Ages & Stages Questionnaire, or ASQ, is simply one of the best tools available for developmental screenings of children from birth to age 5. It has been in development for about 40 years and tested by tens of thousands of participants. First, you choose the correct questionnaire for the child’s age: they’re in two month increments for the first two years (2 months, 4 months…. 24 months), then every 3 months (27, 30, 33, 36), then every 6 months (42, 48, 54, 60). The parent fills out the questionnaire. It asks six questions in each of five realms of child development: communication (what child understands and what they can say), gross motor (running, climbing, throwing), fine motor (hand and finger coordination), problem solving, personal-social (self-help skills and interactions with others). The form asks simple questions, like “If you point to a picture of a ball (kitty, cup, hat, etc.) and ask your child, ‘What is this?’ does your child correctly name at least one picture?” The parent answers the questions yes, sometimes, or not yet. They are encouraged to try things out with their child as they go through the questionnaire, so they can see what their child’s abilities are for sure. There is an additional optional questionnaire called ASQ:SE which assesses social-emotional development, such as autonomy, compliance (ability to follow directions), adaptive functioning (sleeping, eating, toileting), self-regulation, emotional affect, interaction (ability or willingness to respond to others), social communication. If the child scored as we would expect for a child of this age (on the example above, this would be a score of 40 or higher on problem-solving, shown in the white/un-shaded area of that row), then the child’s development appears to be on schedule. If they scored close to the cut-off (in the gray area, shown as 35 or 40 points on the personal-social row), that would be something to monitor. If they score below the cut-off (a unique number for each category of each questionnaire), then further assessment by a professional is recommended. This is a screening tool, not a diagnostic tool. If all looks well for the child (all scores are in the white area or the online tool says “on schedule”) then we can be assured that they are likely well on track. If they’re in the gray area / “monitor”, then we ask more questions to figure out why. If there’s a good explanation, then the score probably is not a cause for worry, but you could recommend adding activities to build the child’s skills in those areas and re-screening in a few months. If they’re in the black area / “not on schedule” consider referrals to more resources. The Oregon website offers this helpful ASQ Review Guide to help you determine next steps. These videos for providers offer more information about how to use the ASQ with parents. It’s most effective when this tool is used as the beginning of a conversation with parents. After completing the tool, what do they see as their child’s strengths? Do they have any concerns about their child’s development? Did the screening reduce those concerns (they discovered the child is actually on track) or increase them (child is shown as monitor or not on schedule)? What are some next steps they can do to help their child’s development? On my post for parents about how to complete the ASQ, you can see how I talk with parents about interpreting their results – whether to worry, how to seek help, etc. If they completed the online questionnaire, their emailed test results will include links to age appropriate learning activities and play activities. The screening is also available free at Easter Seals: www.easterseals.com/mtffc/asq/. I prefer the Oregon screening project, because Easter Seals asks for all of the family’s contact information and will add them to their mailing list. This entry was posted in For Educators and tagged Ages and Stages Questionnaire, ASQ, developmental milestones, developmental screening, early intervention on February 13, 2019 by Janelle Durham.